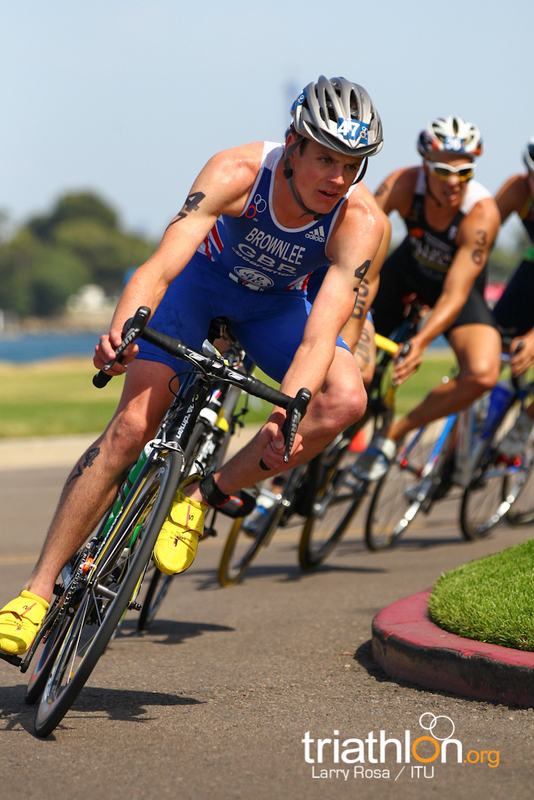 Great Britain’s Jonathan Brownlee kicked off his Olympic season with a dominant performance in San Diego, winning his second ITU World Triathlon Series event ahead of Switzerland’s Sven Riederer and South Africa’s Richard Murray. 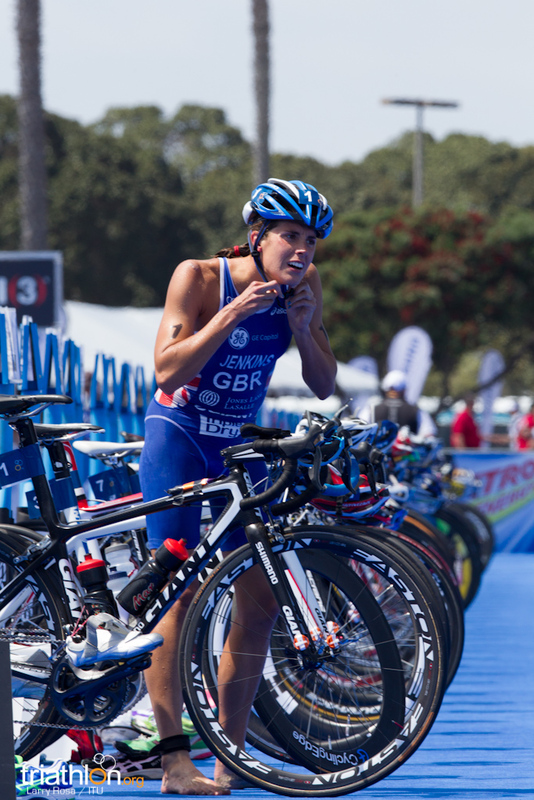 In the race that had a huge impact on the Olympic picture, Brownlee was part of a small break at the start of the bike. 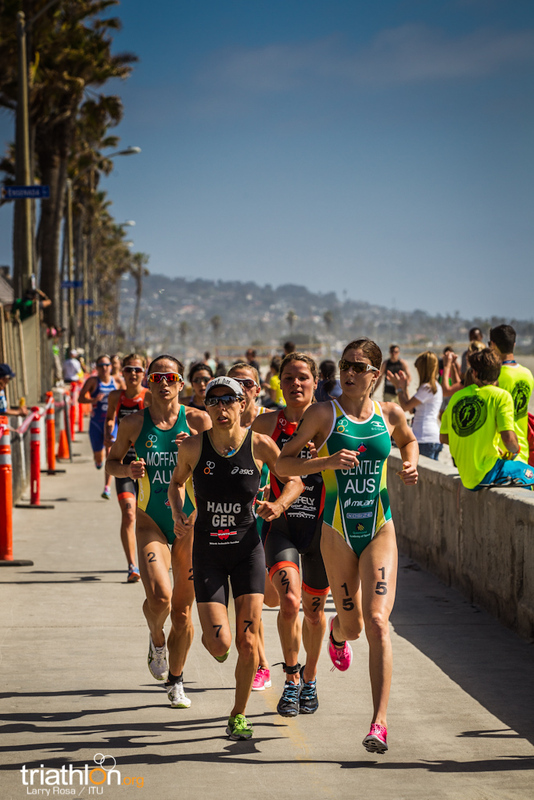 However that didn’t last long, as a huge pack of over 50 athletes hit T2 together. 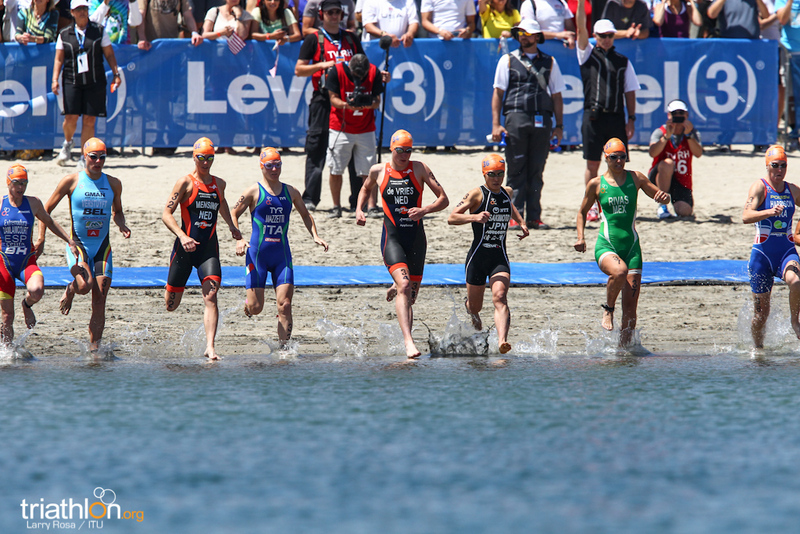 From there it came down to the run, and Brownlee and Murray charged to the front on the first lap. 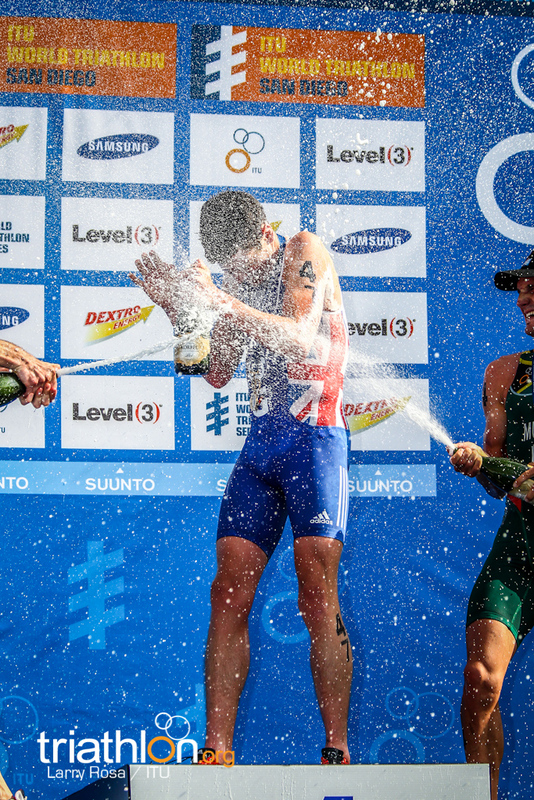 They went toe to toe for almost half of the 10km run, before Brownlee laid down the trademark family kick to win in 1 hour 48 minutes and 47 seconds, his first race in almost seven months. 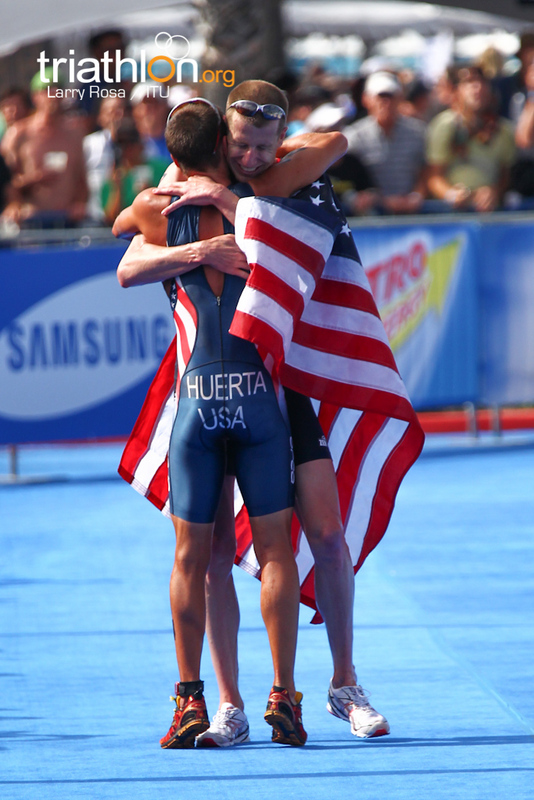 Behind him, Riederer and Spain’s Mario Mola were catching Murray, and Riederer eventually passed Murray to stamp another series medal onto his resume. 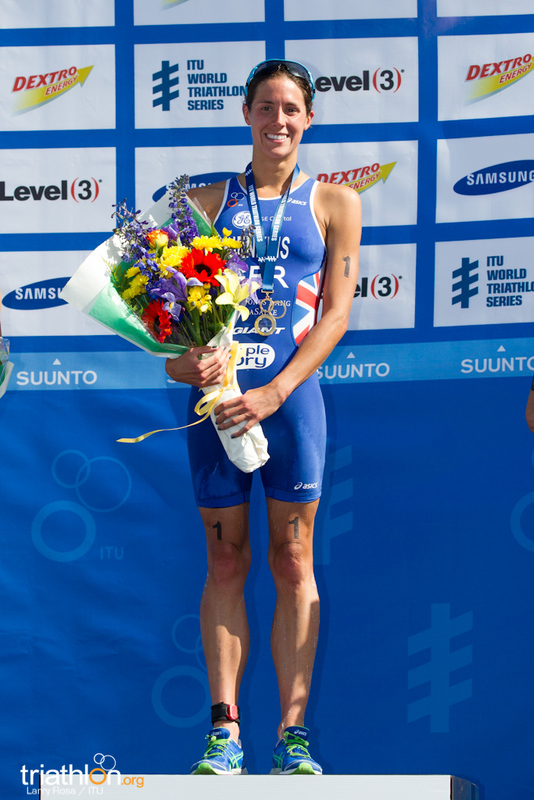 It was enough for 2004 Athens Olympics bronze medallist to confirm his London 2012 Olympics spot, and also means he is now the equal most successful man in series history without a win. 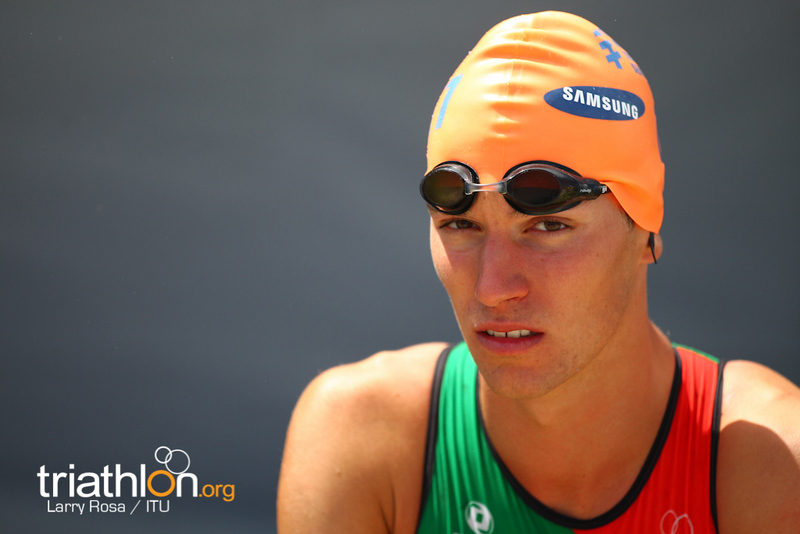 Riederer now has five medals, three bronze and two silver, alongside Alexander Bryukhankov. 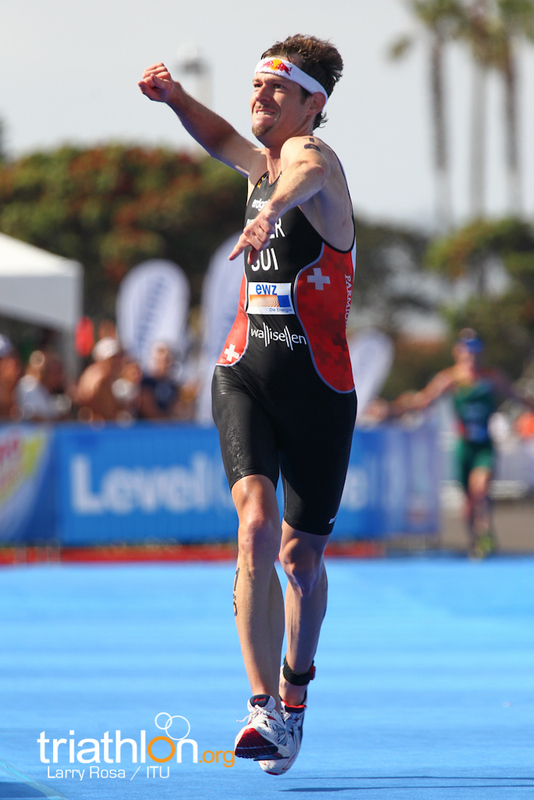 Riederer said his race strategy came off perfectly. 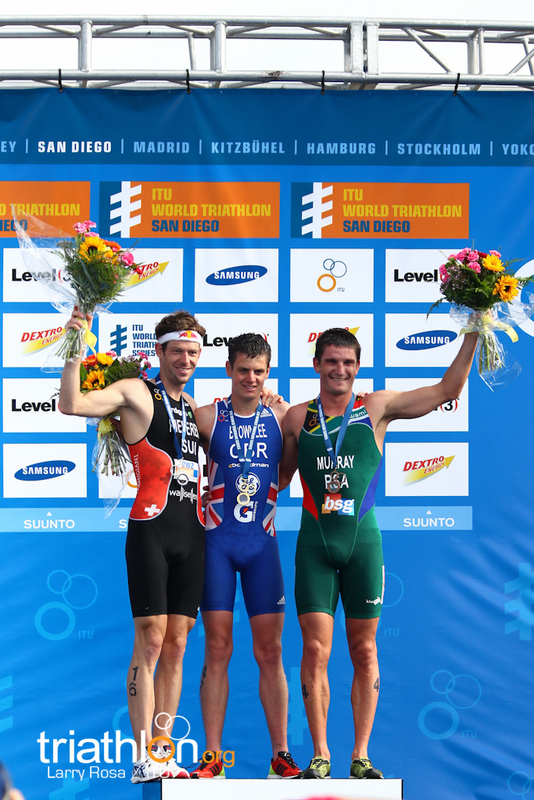 Murray’s bronze medal added another brilliant turn in his stunning rise. 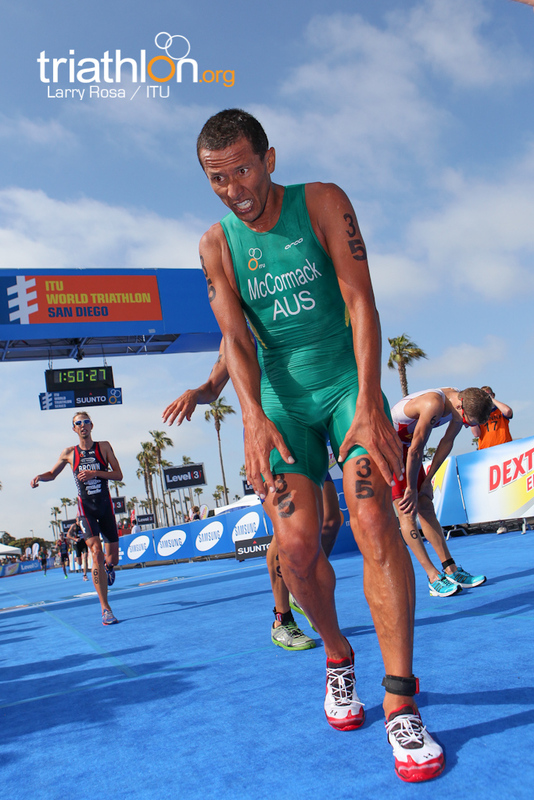 In his first ITU World Triathlon Series race this year in Sydney, he claimed Africa’s first series medal with silver. 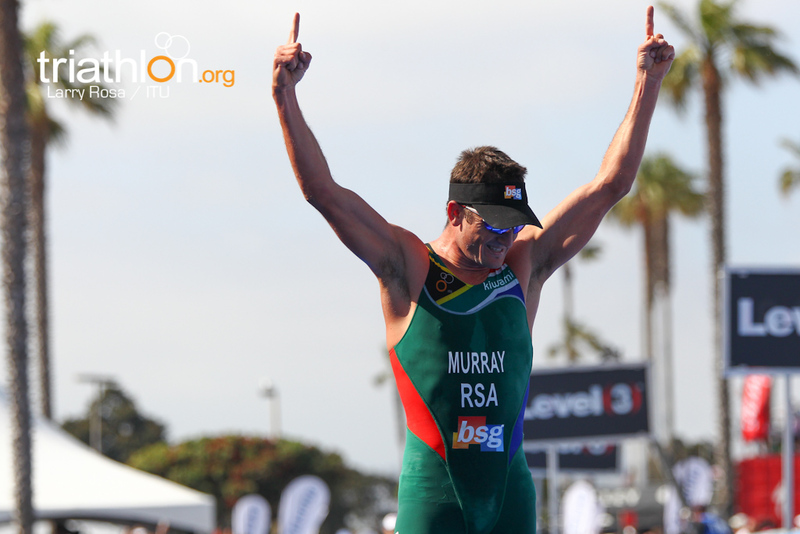 The result in San Diego means that Murray is also now the 2012 ITU World Triathlon Series rankings leader, another first for an African athlete. 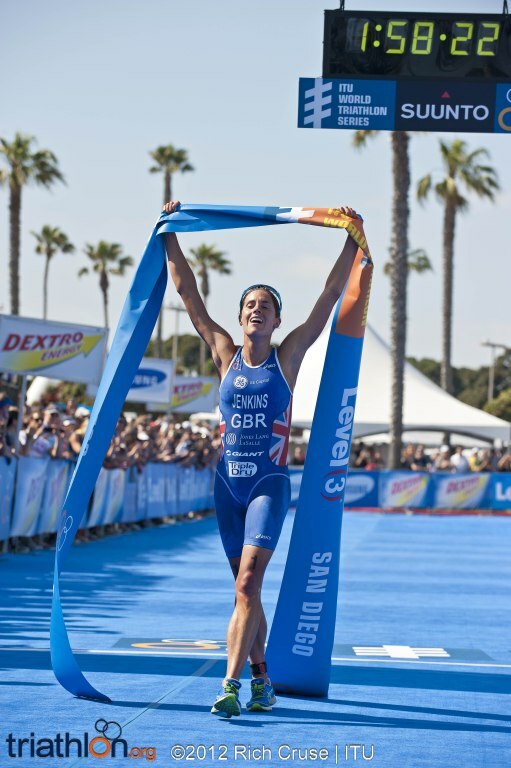 He said afterwards if someone had told him he would be in that position, last year, he wouldn’t have believed them. 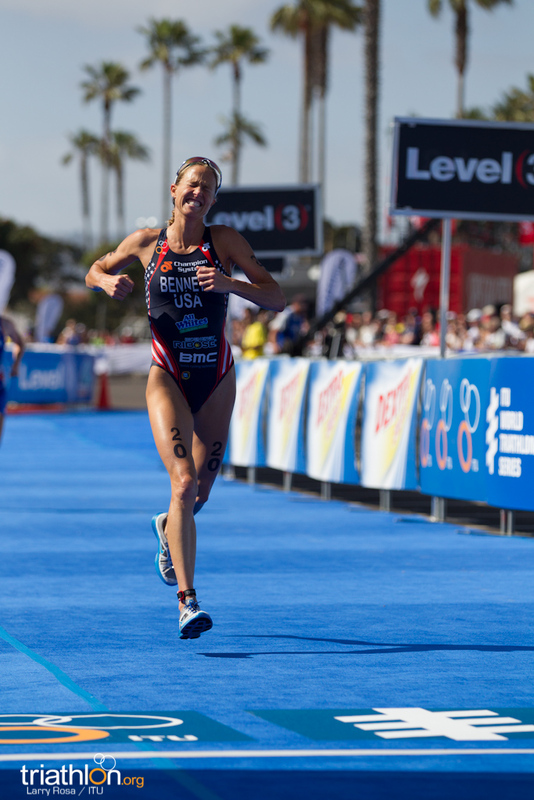 But the excitement wasn’t finished there, as just like the battle between Laura Bennett and Sarah Haskins in the elite women’s race, the fight to decide who would be on the men’s U.S. Olympic team went down to the nerve-wracking wire. 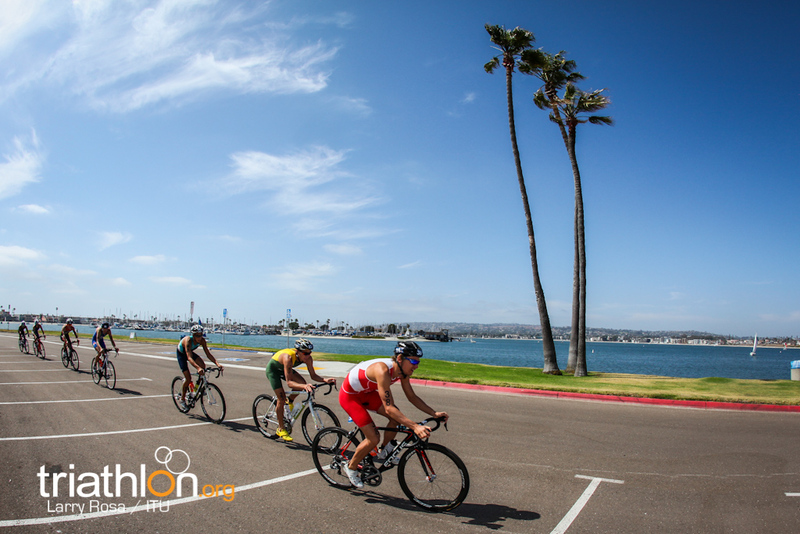 Matt Chrabot, Jarrod Shoemaker, Manuel Huerta and Hunter Kemper were the main contenders and all left T2 within 20 seconds of each other. 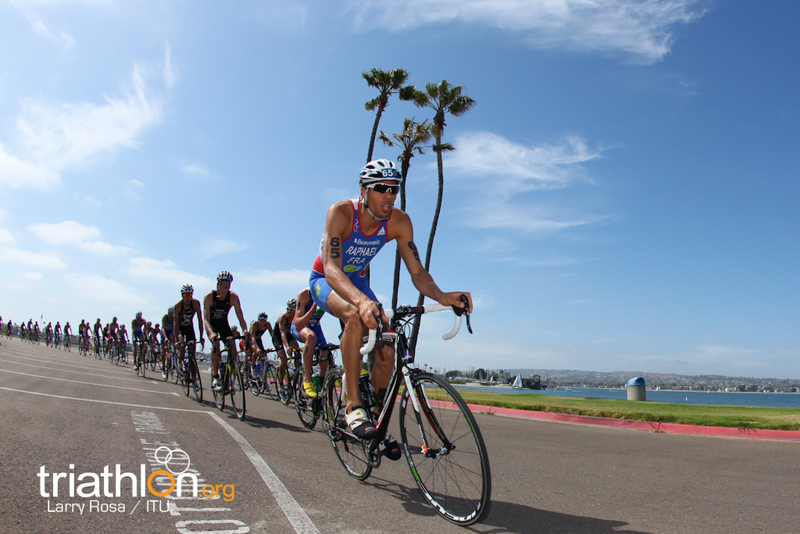 Huerta went with the leaders early, and at one point was sitting in fifth place, while Kemper steadily worked his way through the field. 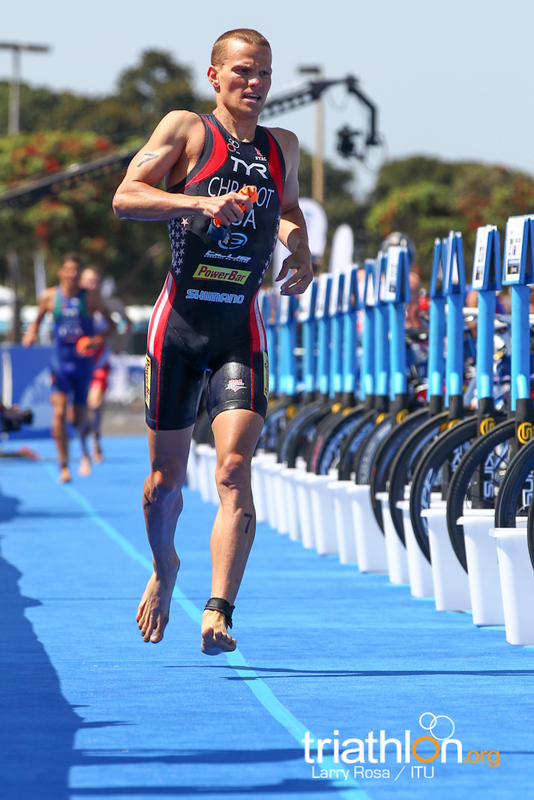 Heading into the final lap, Huerta was in sixth and Kemper ninth, before the veteran pulled off an incredible last kilometre surge to finish in fifth. 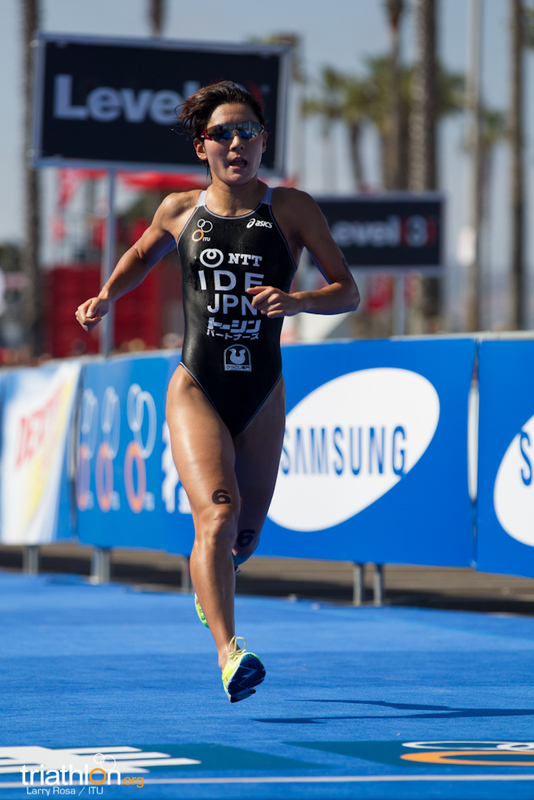 Huerta held on for ninth, which meant both booked their tickets to London. 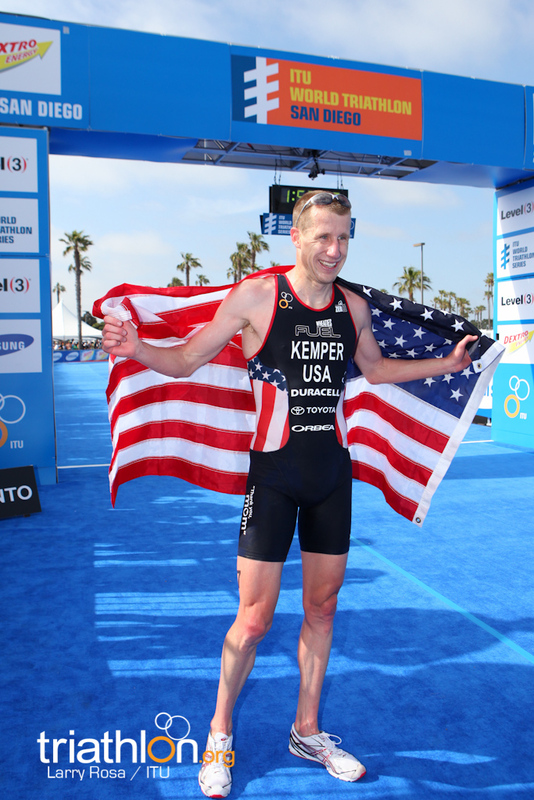 It means Kemper has qualified for his fourth consecutive Olympics, joining a club of only a select few. 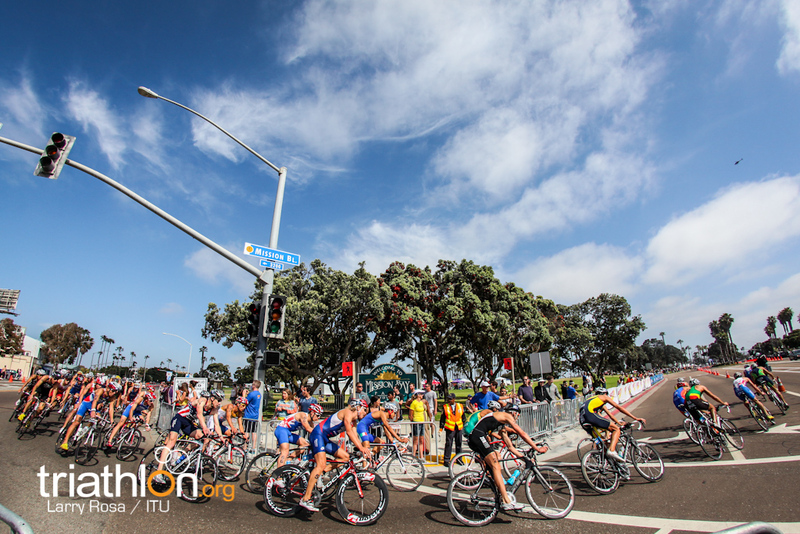 In another beautiful sunny San Diego day, tactics were on display from the start of the elite men’s race. 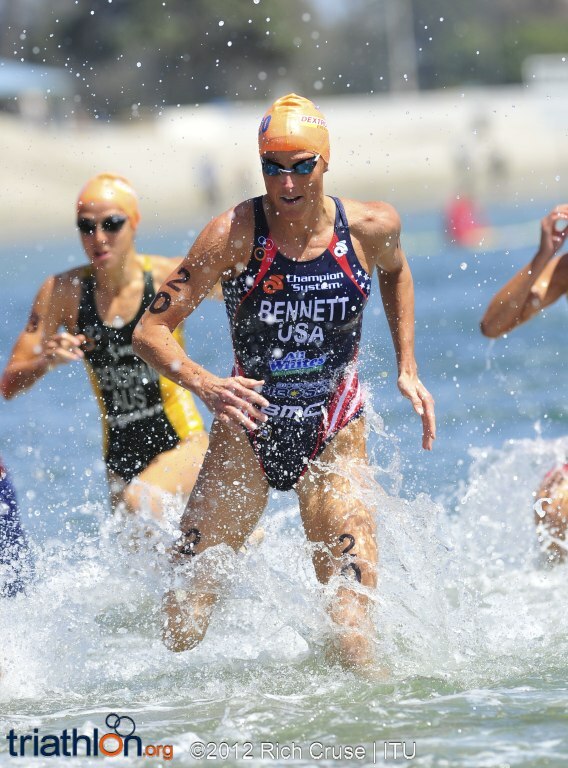 New Zealand’s Kris Gemmell, who already had his Olympic spot, took the widest possible entry into the water to ensure maximum running time and it paid off as he came out of the two-lap swim in a lead group of nine. 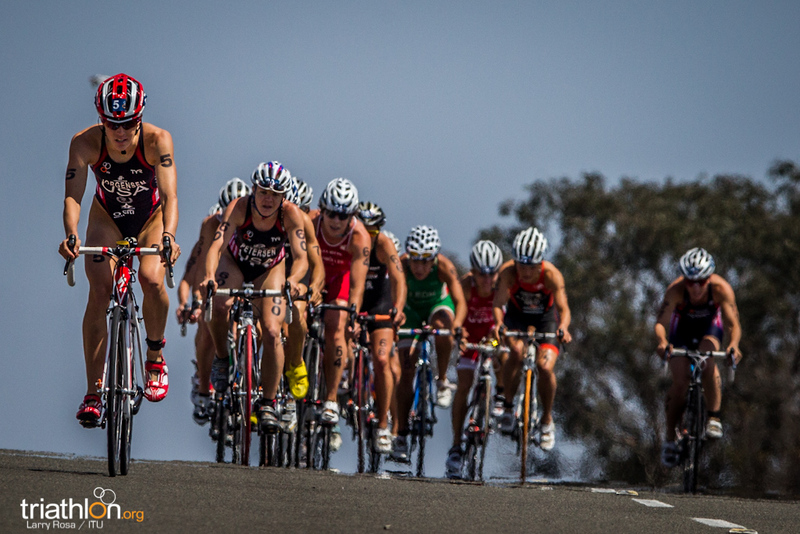 That group, which included Brownlee, Chrabot, Ivan Vasiliev, Ivan Rana and Alessandro Fabian, led for the first two laps but a chase pack that had Riederer, Murray, Shoemaker, Kemper, William Clarke, Simon Whitfield, Brent McMahon, Kyle Jones, Courtney Atkinson, Ryan Sissons, Bevan Docherty, Joao Silva and Brad Kahlefeldt attacked and cut a 20-second lead to ten second before catching the leaders in the third of eight laps. 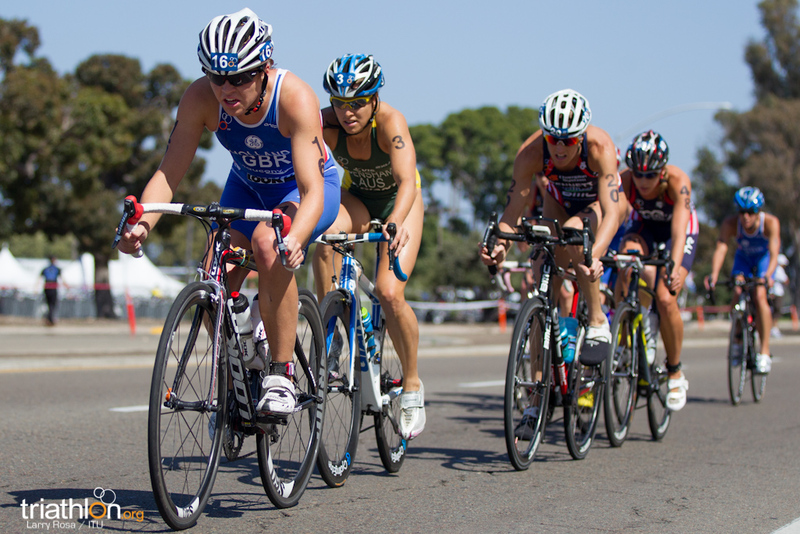 The third chase group – led by Chris McCormack and Tim Don – then also caught the leaders and for the final three laps a huge group of over 50 athletes rode together, leaving only a small group of eight, including Brendan Sexton, Jan Van Berkel and Dan Alterman at the back around two minutes behind. 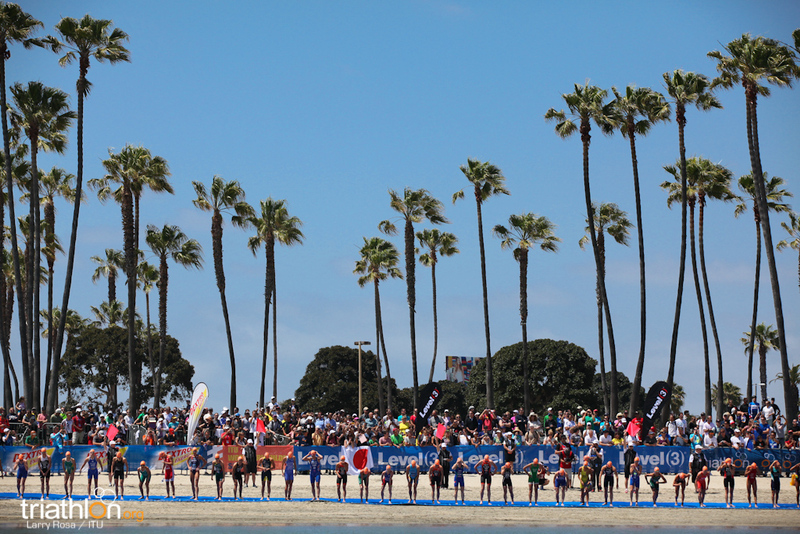 While a few athletes attempted a break, including Japan’s Yuichi Hosoda who went off the front, none managed to get away as almost all of the field reached T2 en masse. 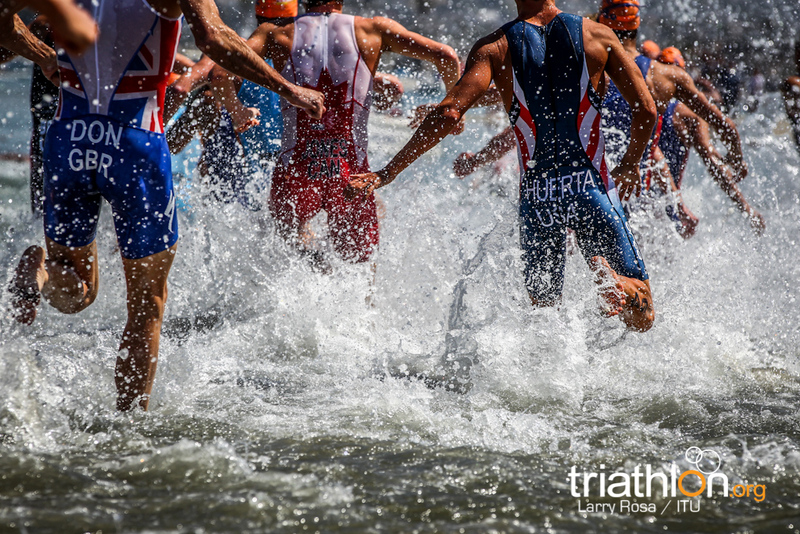 In a frenetic first lap of the run, Brownlee and Murray went off the front but the battle for the top 10 unfolded behind them. 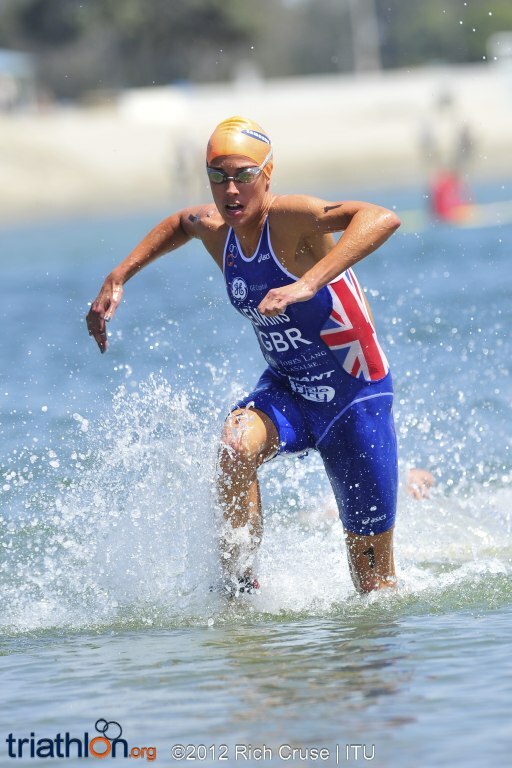 Don, who was chasing his fourth Olympics berth and a chance to be GB’s third team member with the Brownlees, initially led the chase with Riederer, Gemmell, Kahlefeldt, Sissons, Docherty, Mola and Silva just behind. 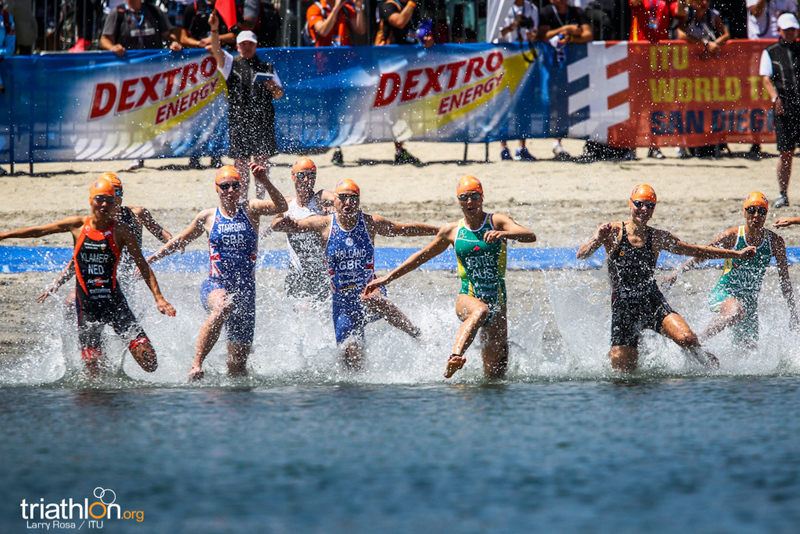 Just behind them were Atkinson and Whitfield, locked in an important Olympic qualifying battle, and the final few kilometres saw position changes and athletes fading as plenty put it all on the line. 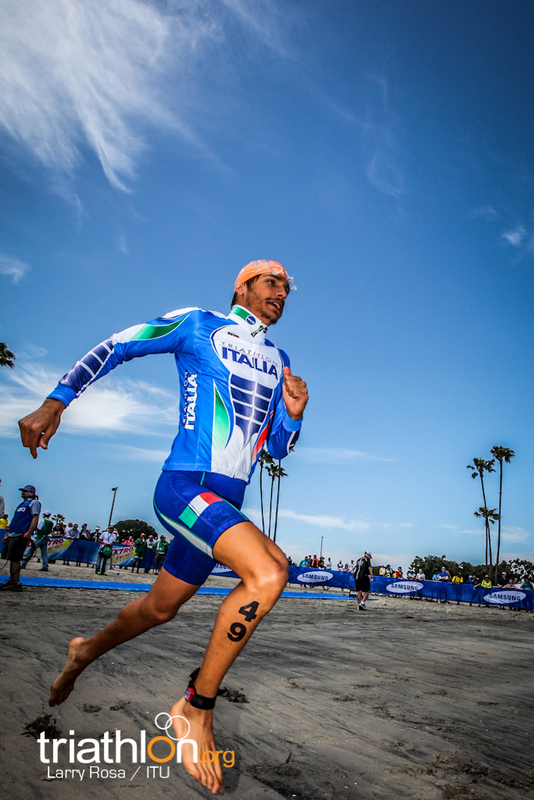 Mola finished fourth, the second time he’s just missed the podium this year after also finishing fourth in Mooloolaba. 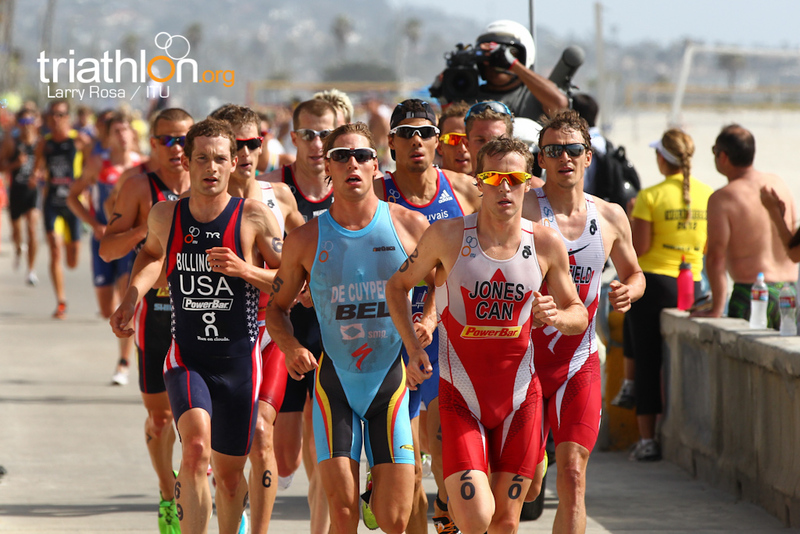 Whitfield’s 11th place didn’t allow him to overtake Atkinson, but he did move ahead of Portugal’s Joao Pereira, which right now gives Canada three men’s spots at London 2012, while Portugal dropped back down to two. 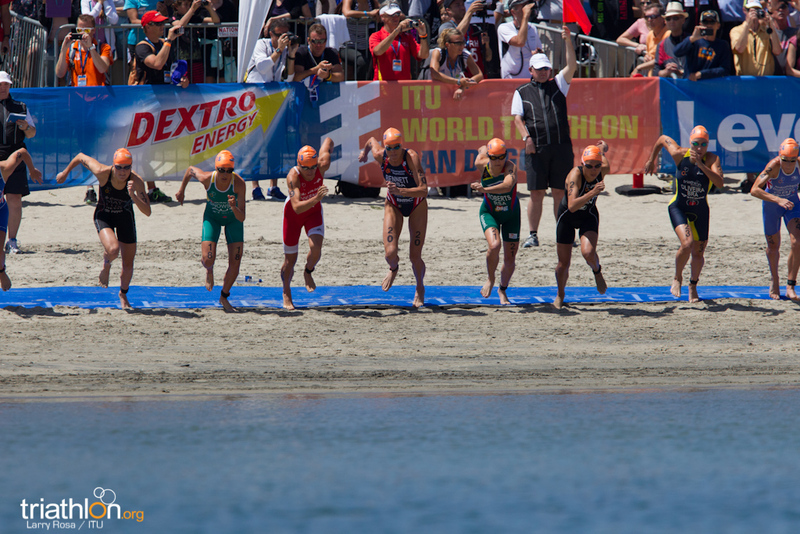 Canada is in eighth out of eight NOCs who can qualify the maximum, and Australia in seventh. 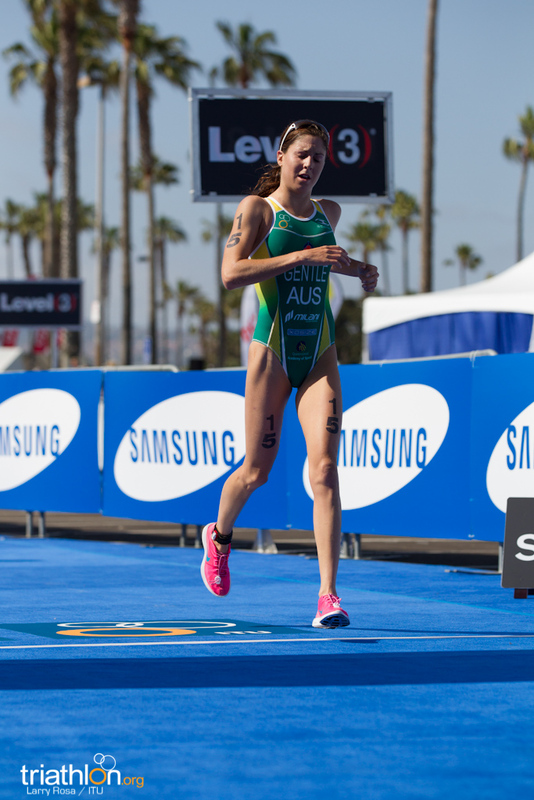 The New Zealand Olympic team of Docherty, Gemmell and Sissons secured their three spots after all three finished in the top-10. 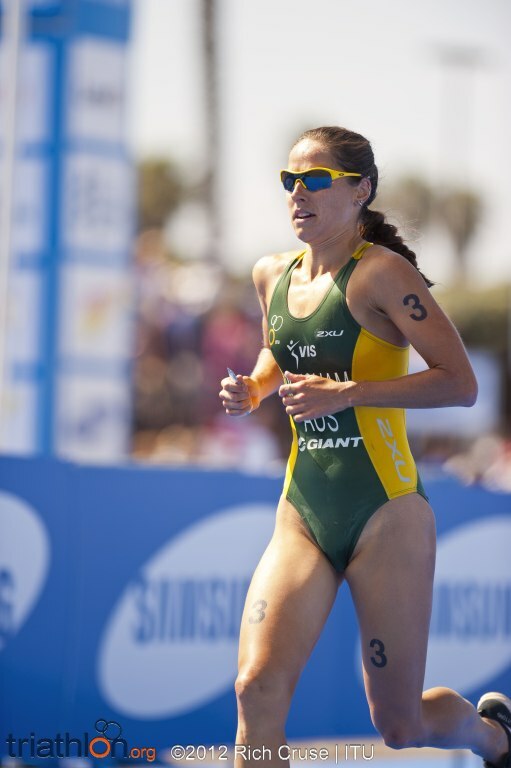 It moved New Zealand to third in the list of eight teams, ahead of France and Spain. 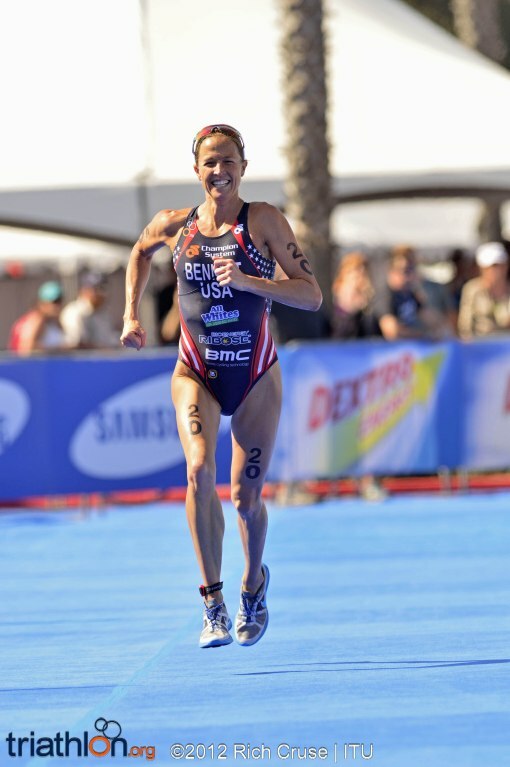 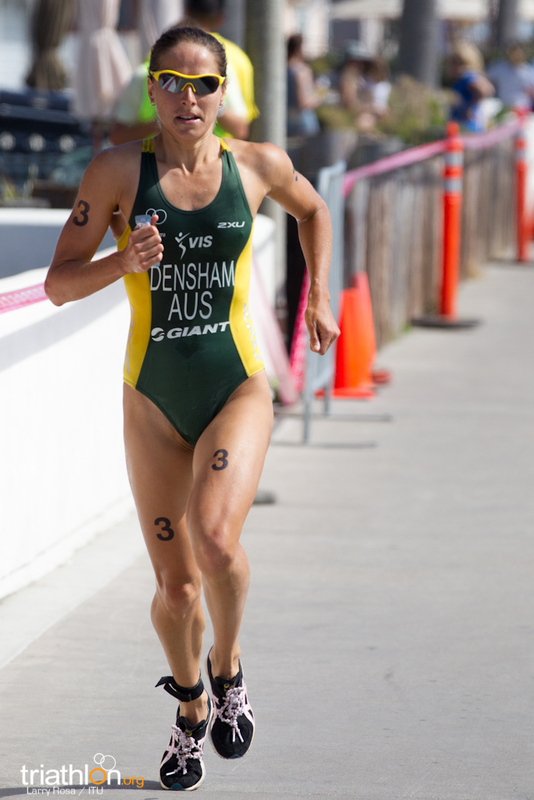 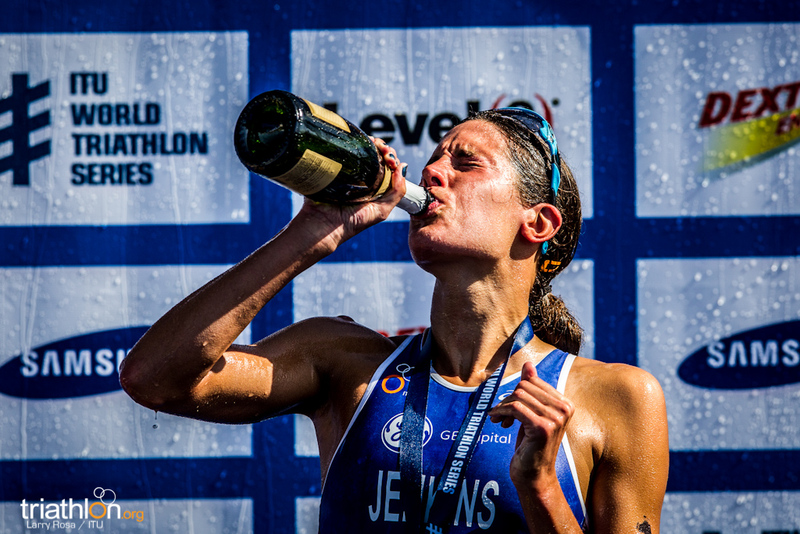 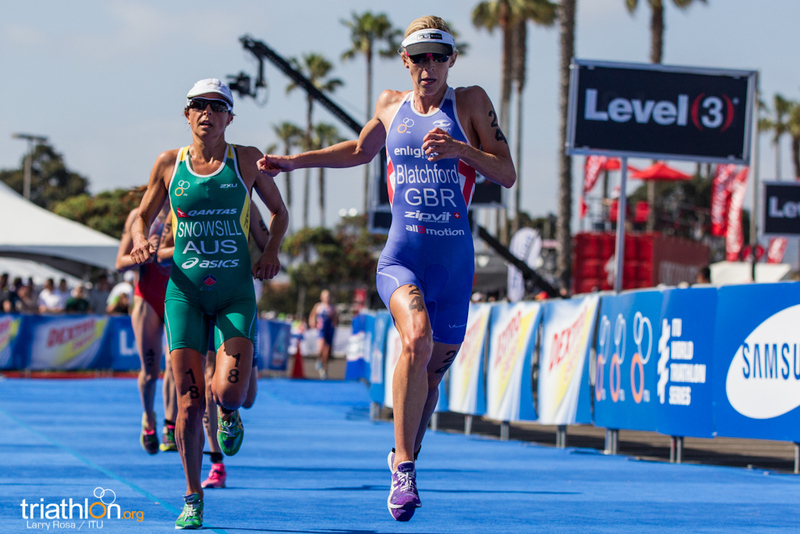 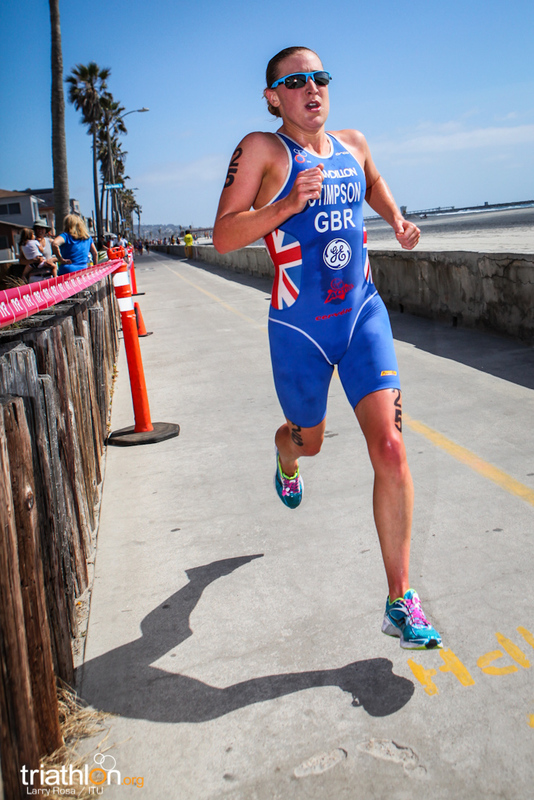 Great Britain's Helen Jenkins enlisted a killer last lap kick to record her first series win this year, as Erin Densham and Laura Bennett claimed silver and bronze respectively in triathlon's return to San Diego. 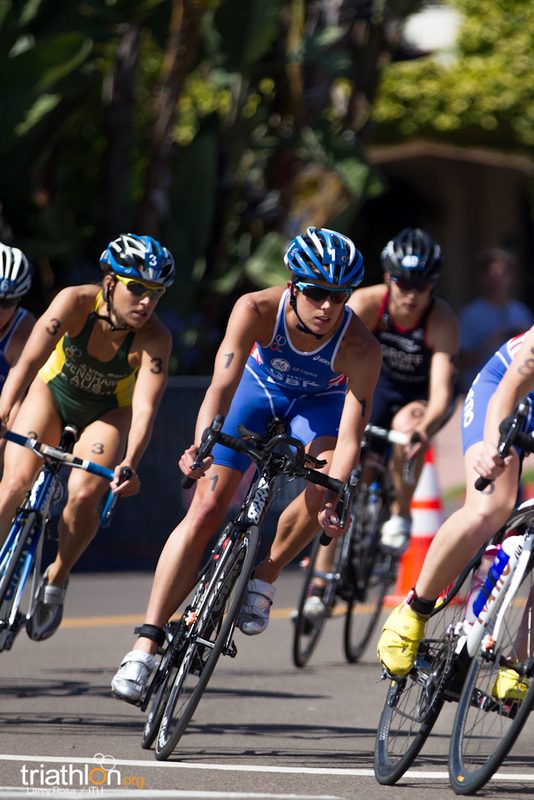 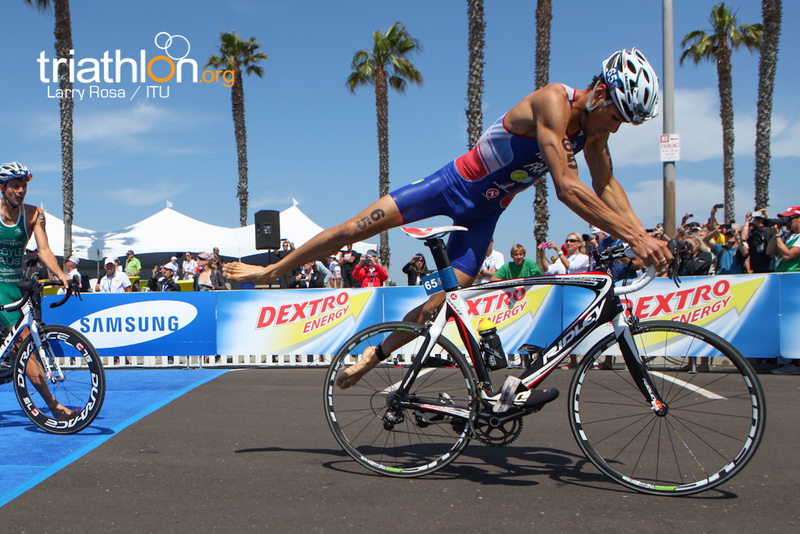 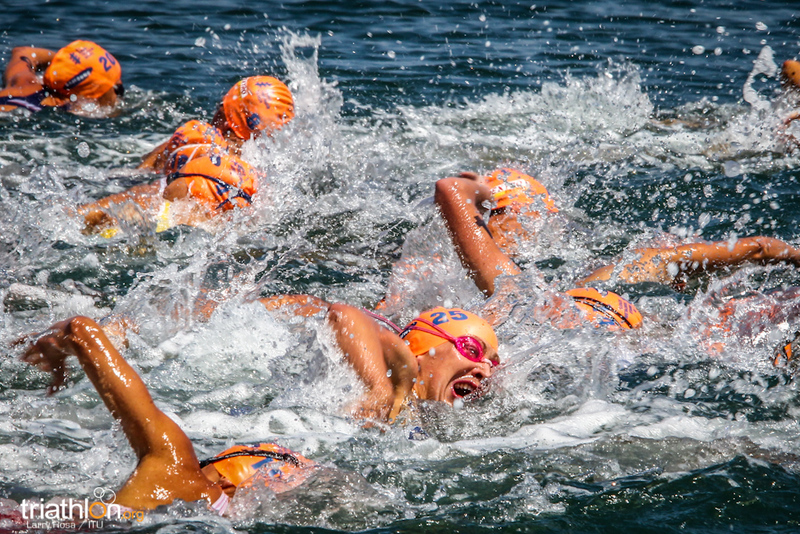 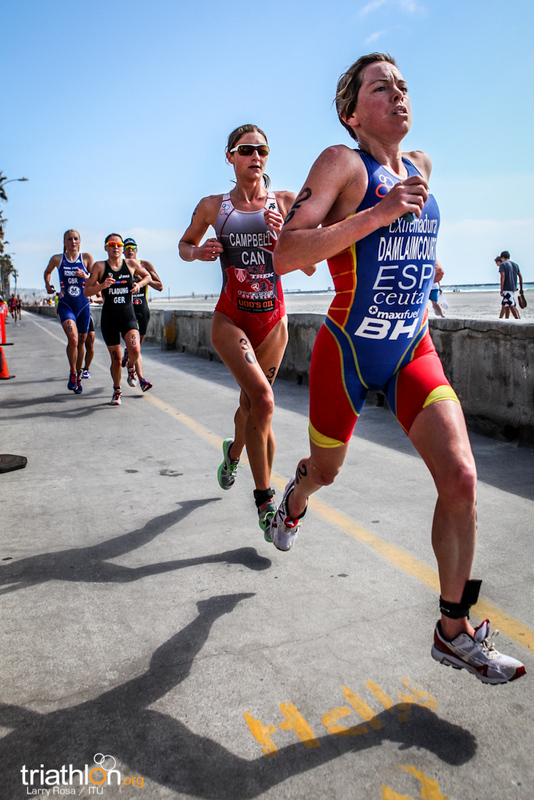 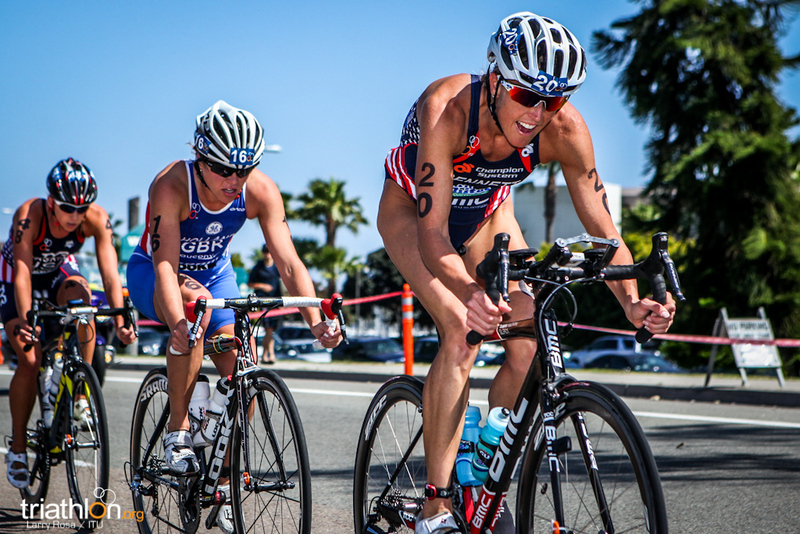 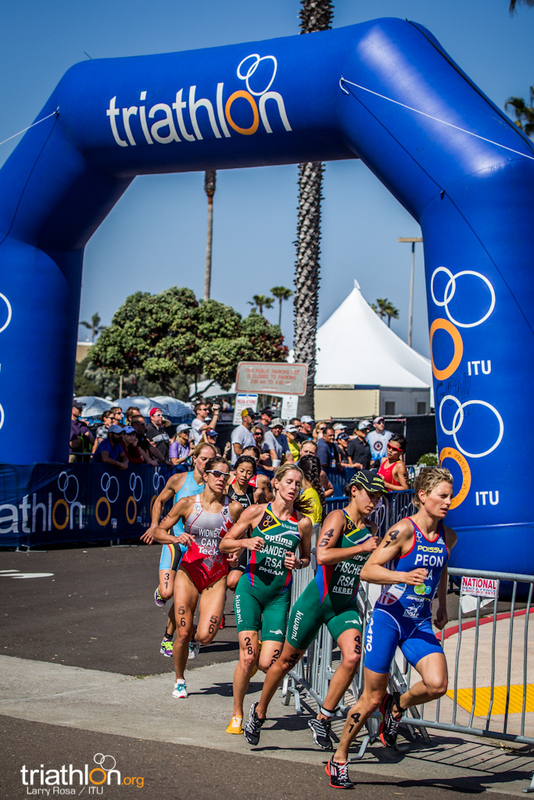 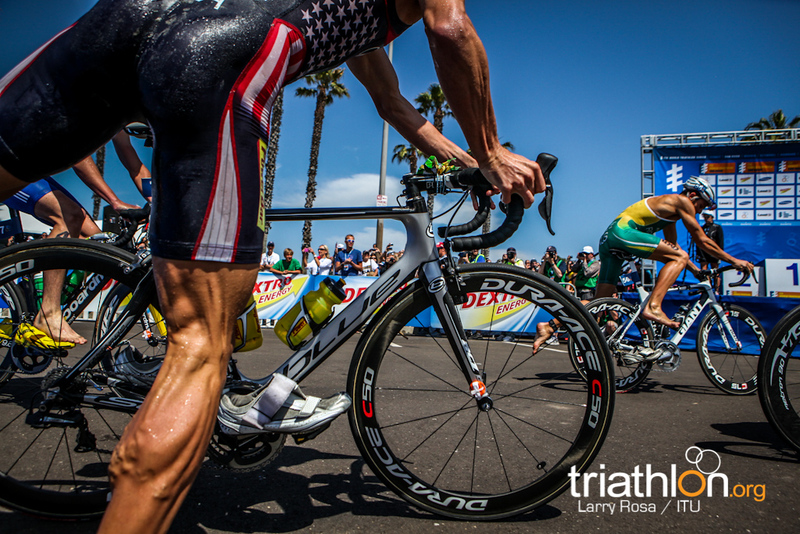 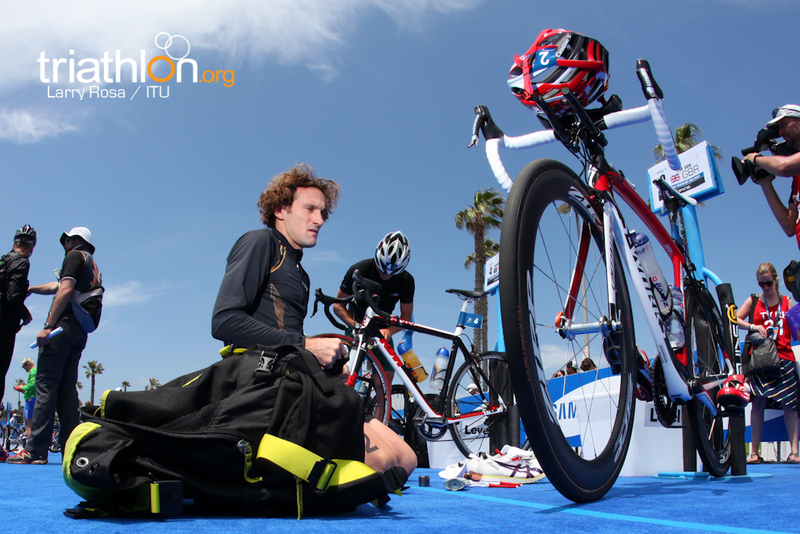 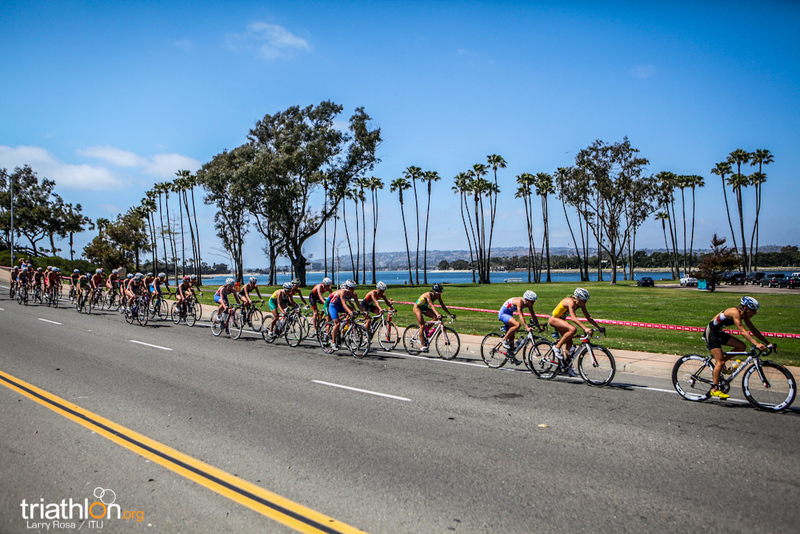 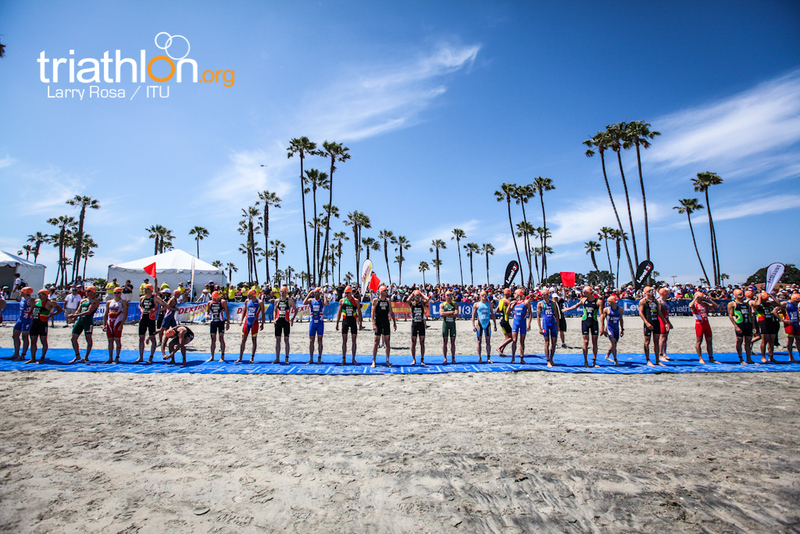 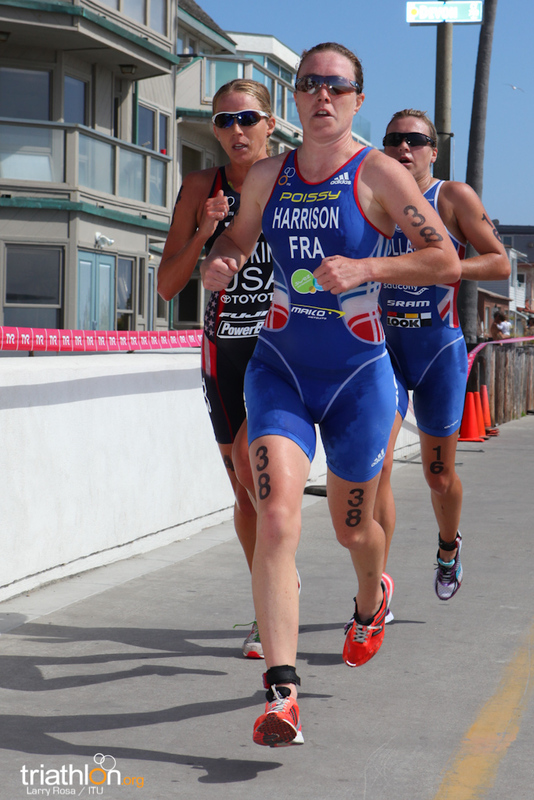 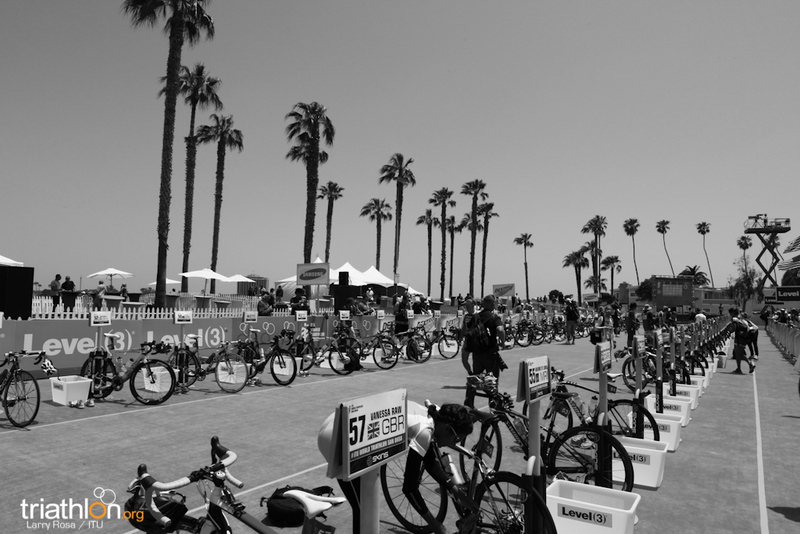 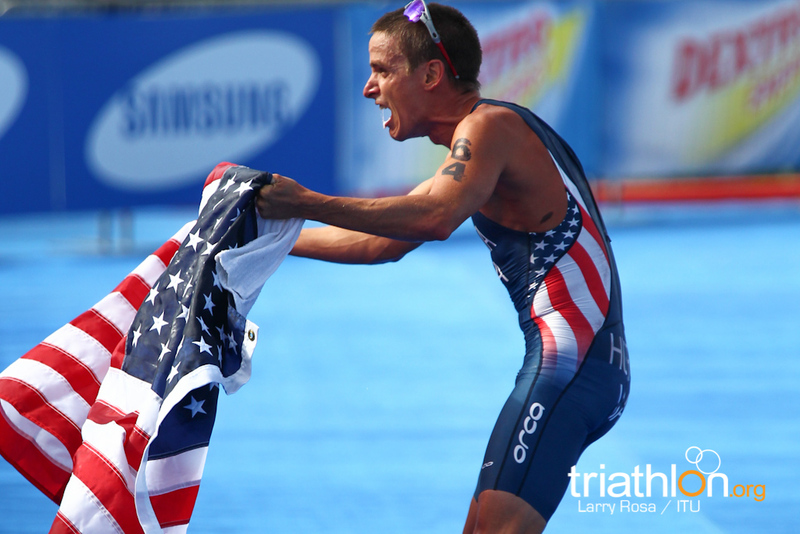 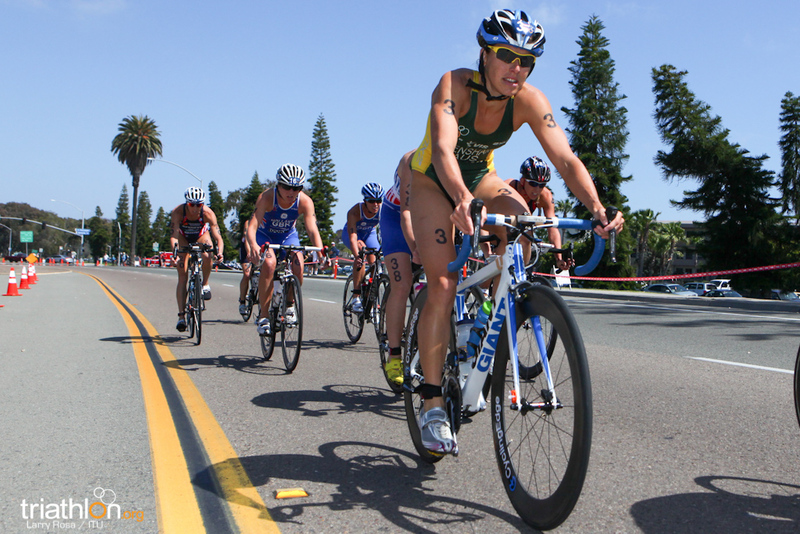 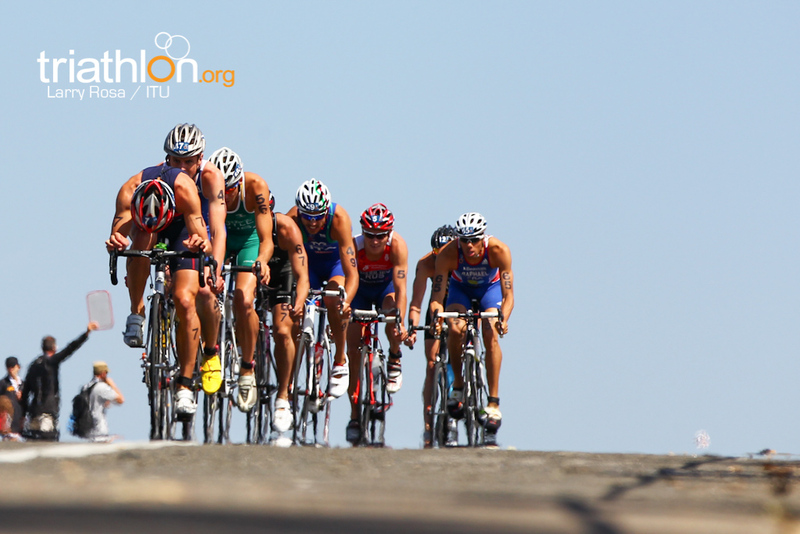 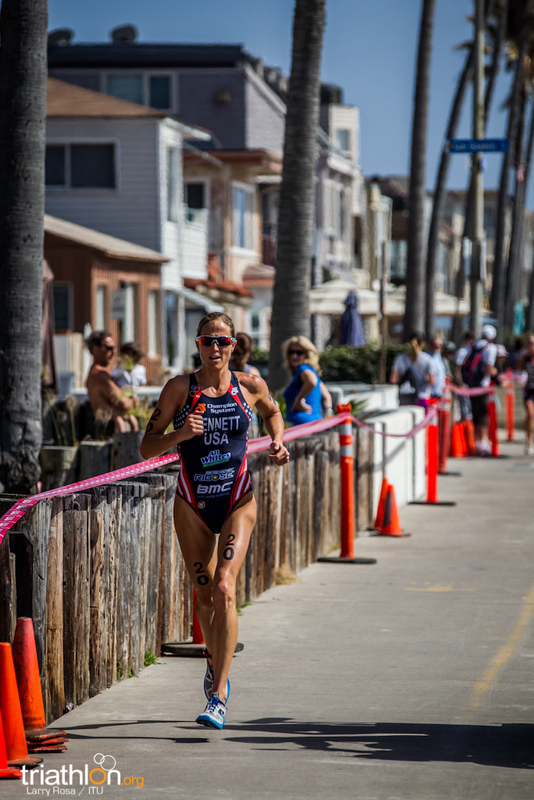 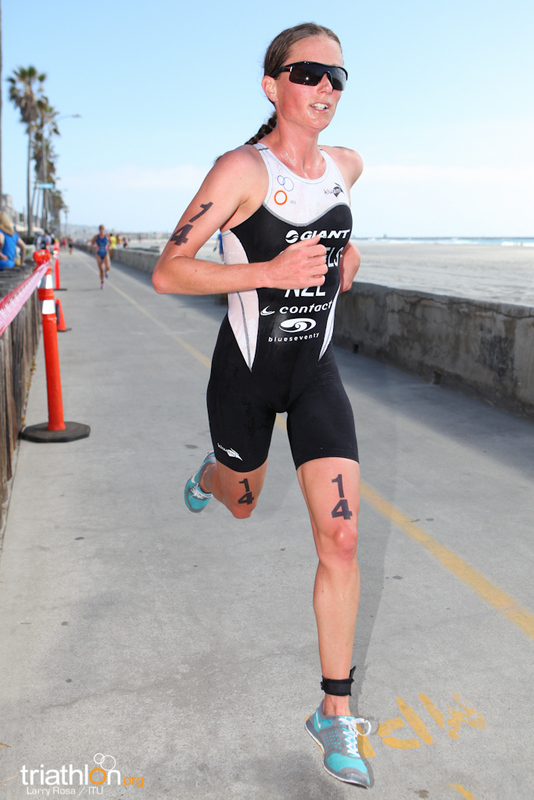 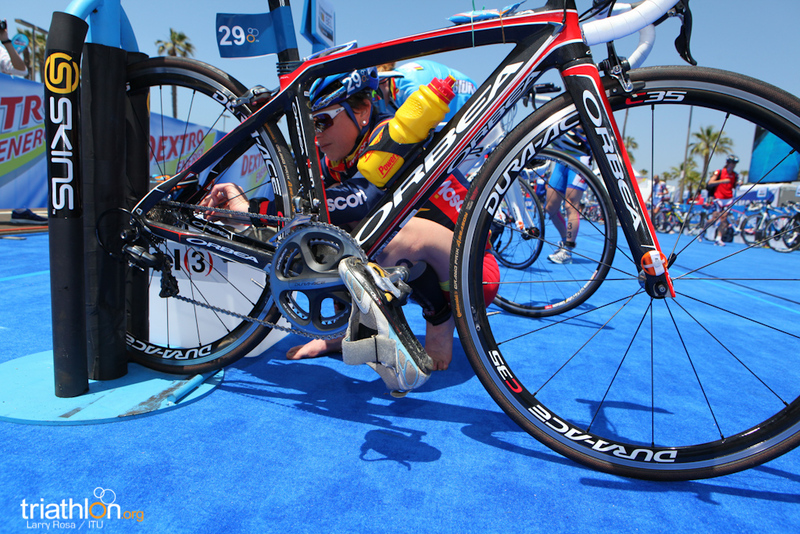 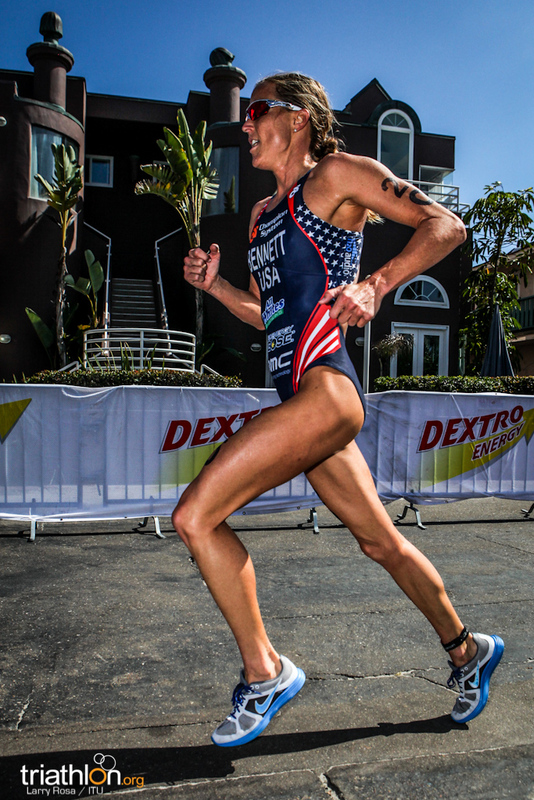 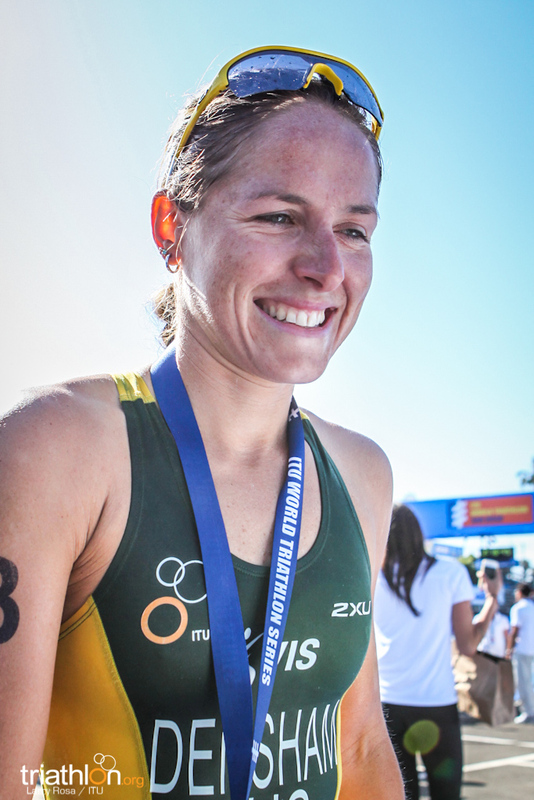 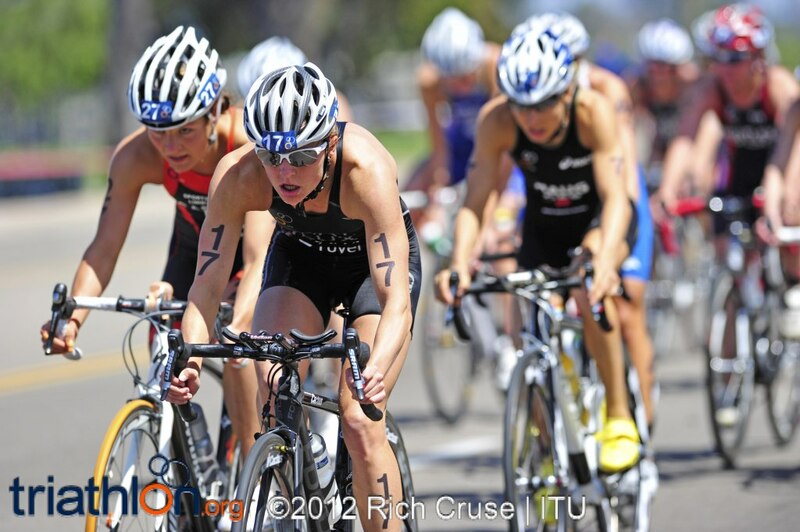 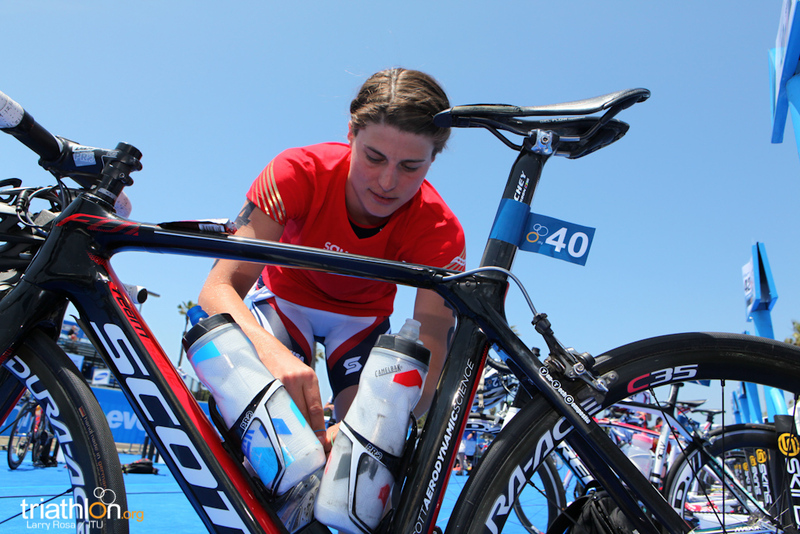 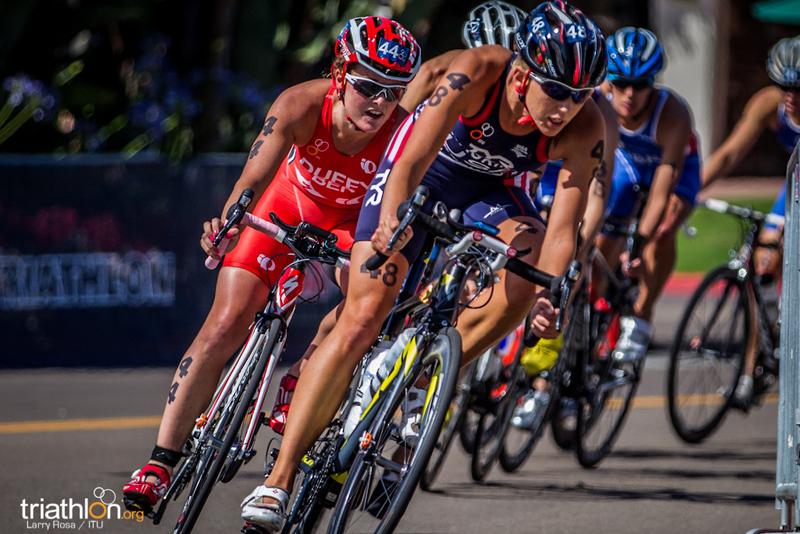 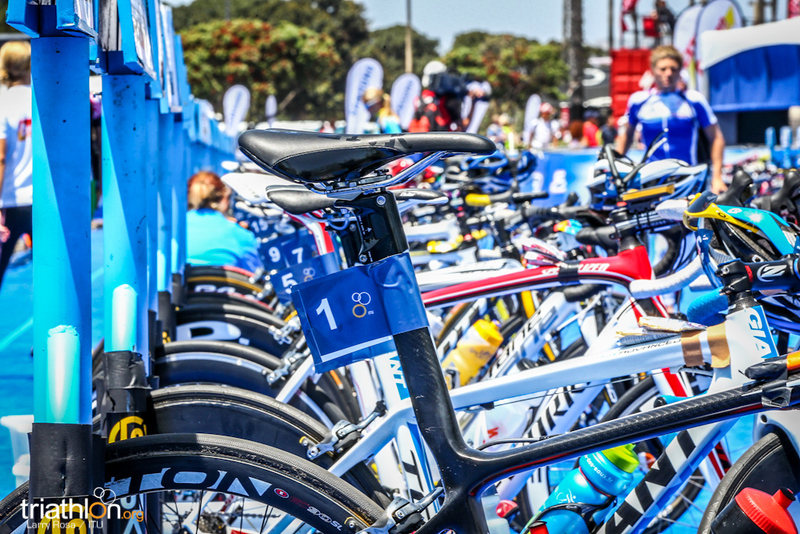 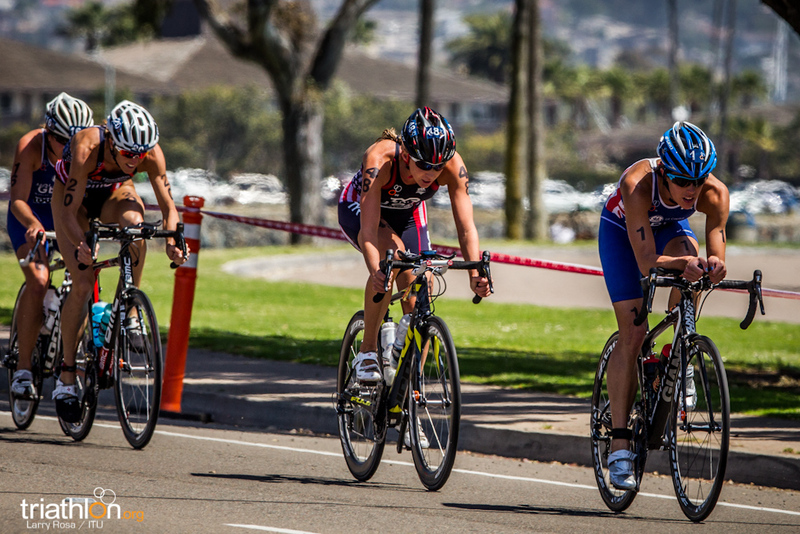 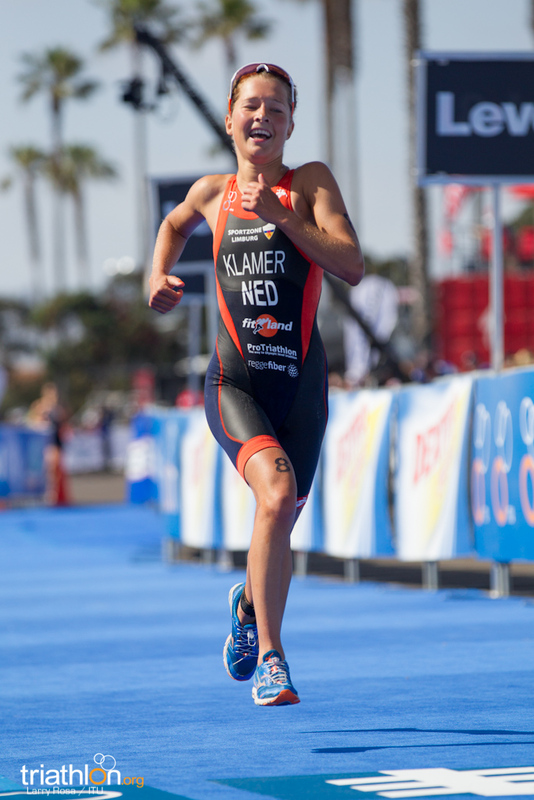 This weekend presents an opportunity to witness history in the making as triathlon returns to its roots in San Diego. 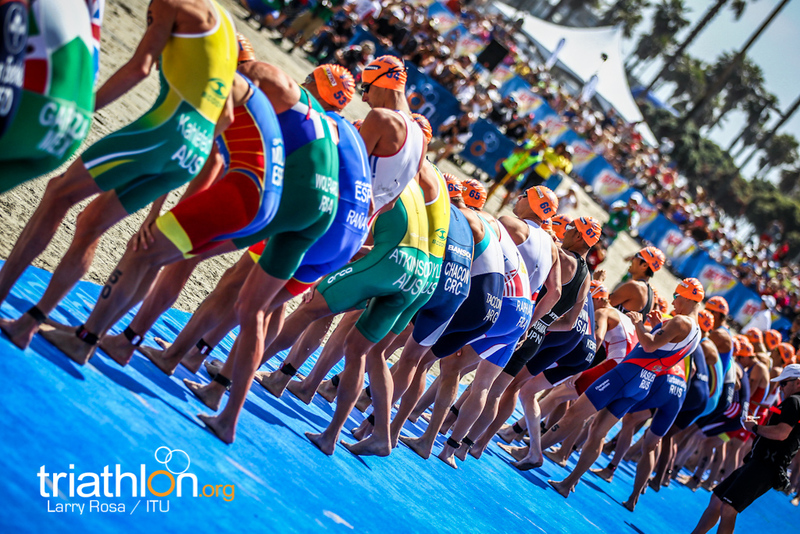 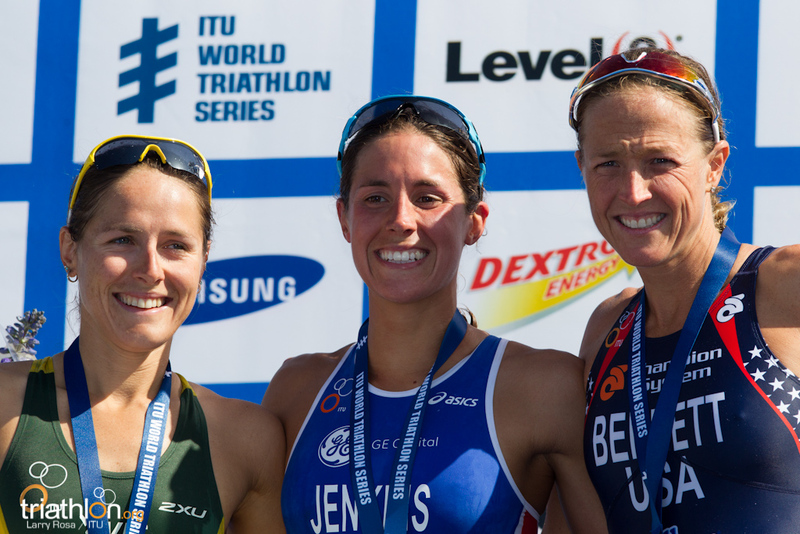 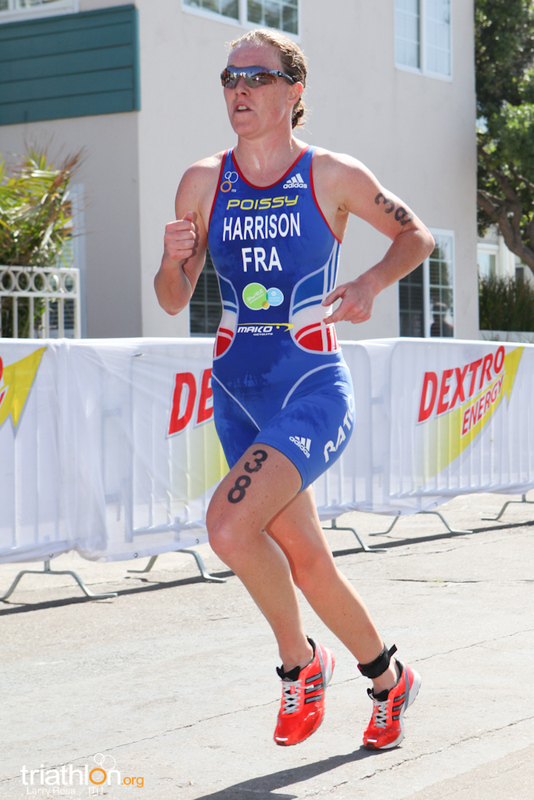 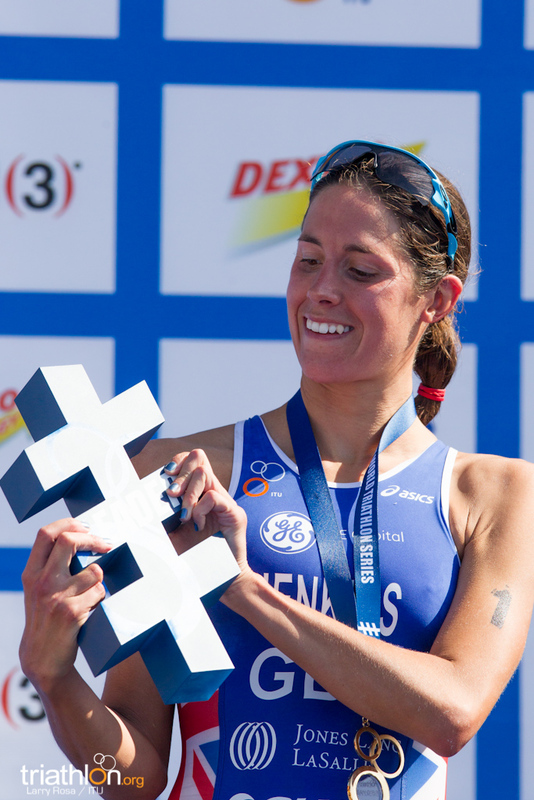 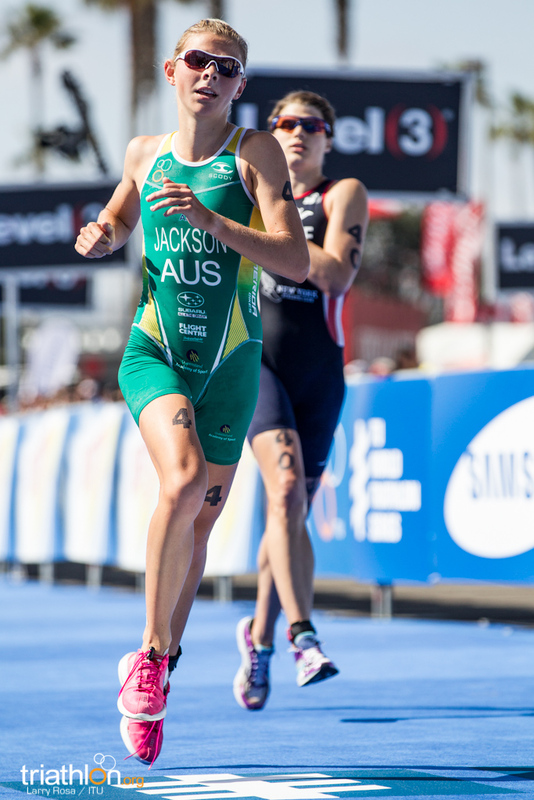 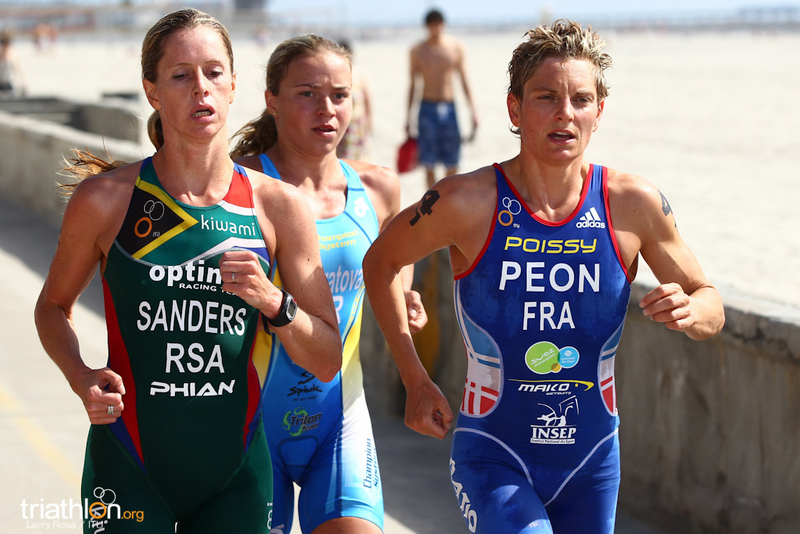 The second ITU World Triathlon Series event of 2012 offers the perfect chance to reflect upon just how far the sport has come.